Our Dyna kit takes the legendary Harley-Davidson motorcycle and adds a beautifully integrated Champion Trike conversion. In just a few weeks, freedom is within your reach. 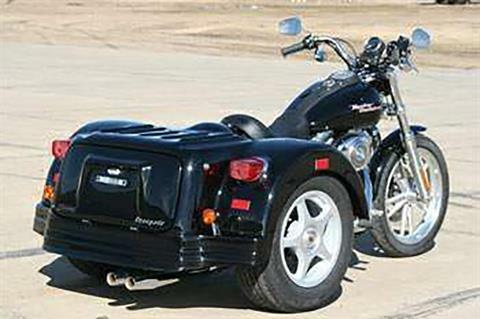 With enhanced stability, and a far greater carrying capacity, this Champion Conversion is the only option when it comes to converting your motorcycle into a trike.